LNG production, distribution and sale is LNG-Silesia core business. Other services offered include LNG station development, O&M and technical consulting. 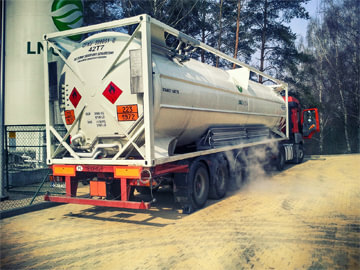 LNG production is based on unique coal mine gas purification and liquefaction technology. LNG-Silesia mission is to satisfy energy demands of our clients and secure continuous LNG deliveries. Safety of deliveries and infrastructure is our main objectve. LNG-Silesia vision is to gain leading position on national LNG sale and distribution market.